Need a side salad that's sure to impress? 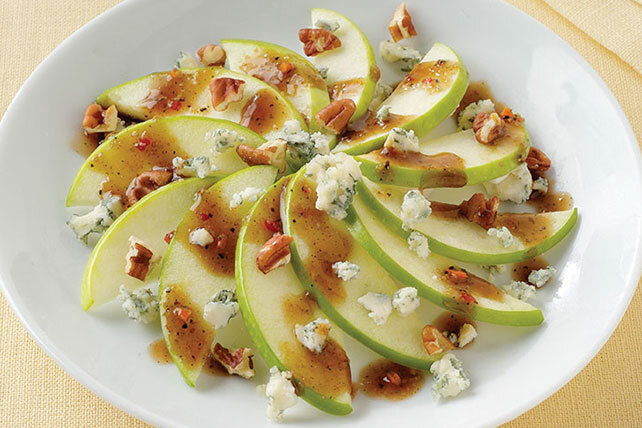 This gorgeous fan of thinly sliced apples, decked out with cheese, nuts and dressing, should do the trick. Arrange apples on 4 salad plates. A serving of this salad makes a great accompaniment to 3 oz. of cooked turkey, chicken or pork and your favorite steamed vegetable.